A Well-Seasoned Life: We Have a Winner! 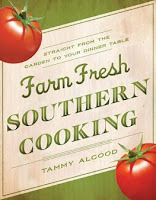 Congratulations to Barb Bergbower, the winner of Farm Fresh Southern Cooking. I know you'll enjoy it! Never fear, I have a few more cookbooks up my sleeve to give away and will be working on the reviews and giveaways soon. Keep checking back.